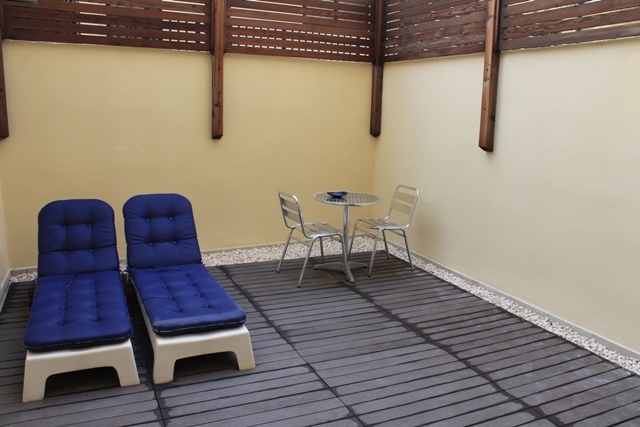 The one bed apartment is newly built, fully furnished. It is at ground floor level and forms part of a very small but exclusive block and is situated just off the seafront (2 minutes walk). Tigne Midi Project, “The Point” Shopping Mall and the prestigious new Fort Cambridge development are just 50 metres away. Layout comprising of open plan kitchen/living/dining, large bedroom, bathroom and an unusual very large sunny yard with sunbeds. 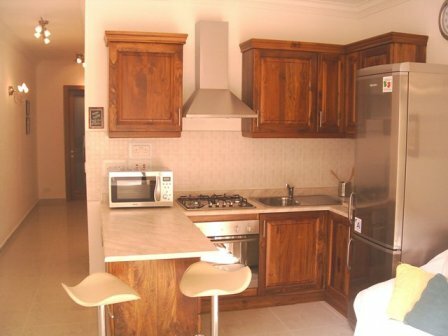 This apartment is fully air-conditioned in both the kitchen/living/dining and the bedroom, and comes with many extras including a fully equipped kitchen, microwave, washing machine, 32″ LED TVs with satellite & cable reception, radio, CD, DVD, telephone, intercom, internet access (wireless) and much more.